What is a Lifestyle Membership? A Lifestyle Membership is an 18-hole and 9-hole limited-round membership. Silver 25 round, Non-Shareholder rate, is $1,050.00 (plus tax). Silver 25 round, $450.00 (pus tax). Do the membership categories have restrictions? The 18-hole options are unrestricted 7-days a week. The 9-hole options are after 1:00pm 7-days a week. If I purchase a Silver 15 and want to play more can I buy more rounds? You can pay the difference at anytime to change categories, from Silver 15 to Silver 25 if you have more time to play golf. The option is also available to change to an unlimited round membership by paying the difference. Why would I buy a Lifestyle Membership instead of green fee packs? All of the Lifestyle memberships allow you to play in the many popular leagues (Ie. Ladies, Senior Men & Men’s). You can also play in any of the many club events we have during the season, including playing in the Club Championship’s**. **The Club Championship’s are included without using pre-paid rounds. Can I buy any membership services with my Lifestyle Membership? Yes, you can purchase any of the membership services (Ie. Power cart package, driving range membership and/or club storage – based on availability). Does my Lifestyle Membership include a Golf Canada Gold Membership? 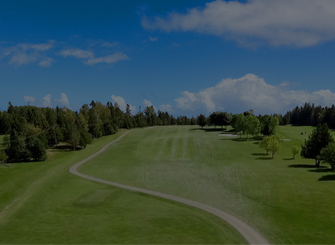 All 18-hole Lifestyle options include a Golf Canada Gold Membership. All 9-hole Lifestyle options can purchase a discounted Golf Canada Gold Membership. $35.00 (Regular Rate $49.95).